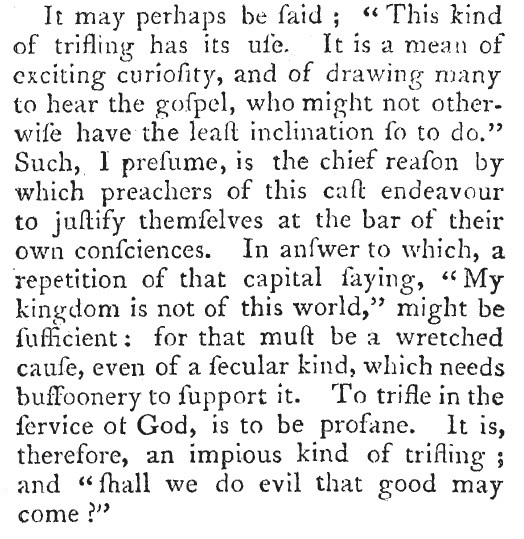 Alexander Mitchell, in The Westminster Assembly (1883), tells us a little bit about the textual history of the Westminster Confession of Faith. 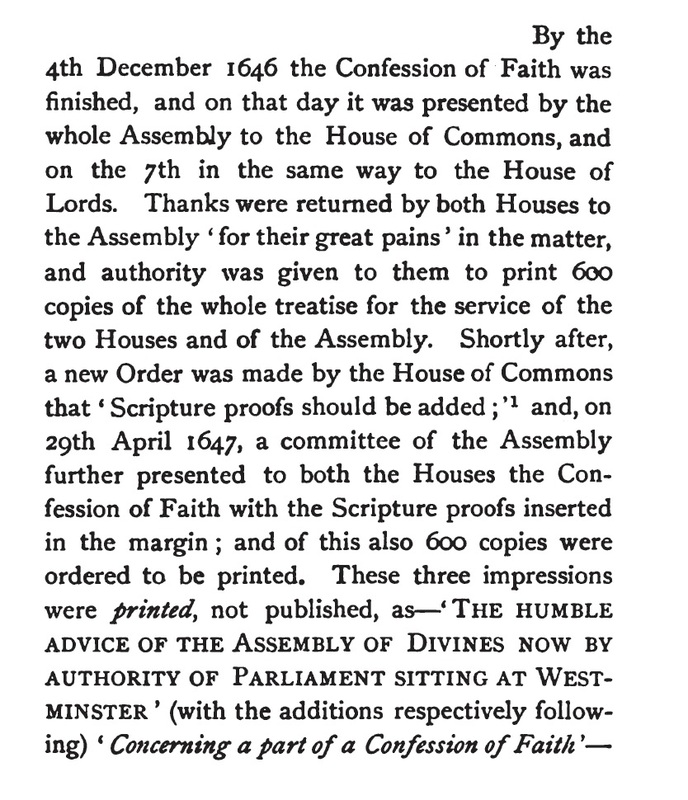 Contrary to popular assumption, the Westminster Confession as we know it today is not authentic in the sense that it is not the version approved by Parliament. 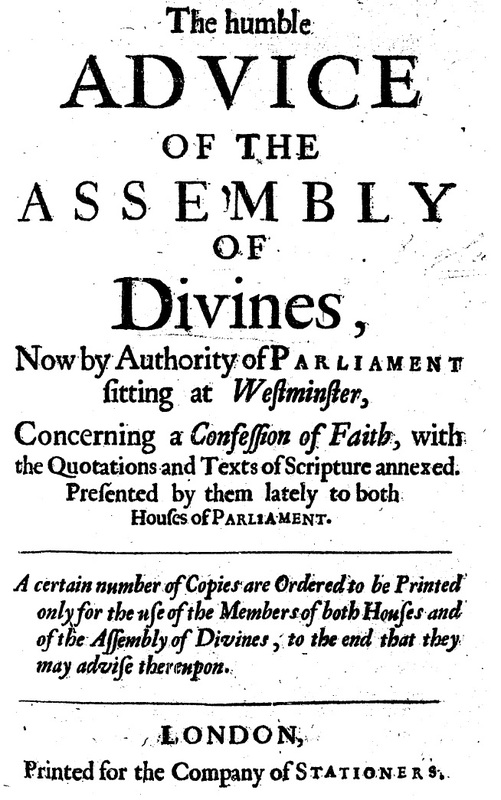 The Westminster Assembly was called by Parliament, and was thus accountable to Parliament for authorization of its work. 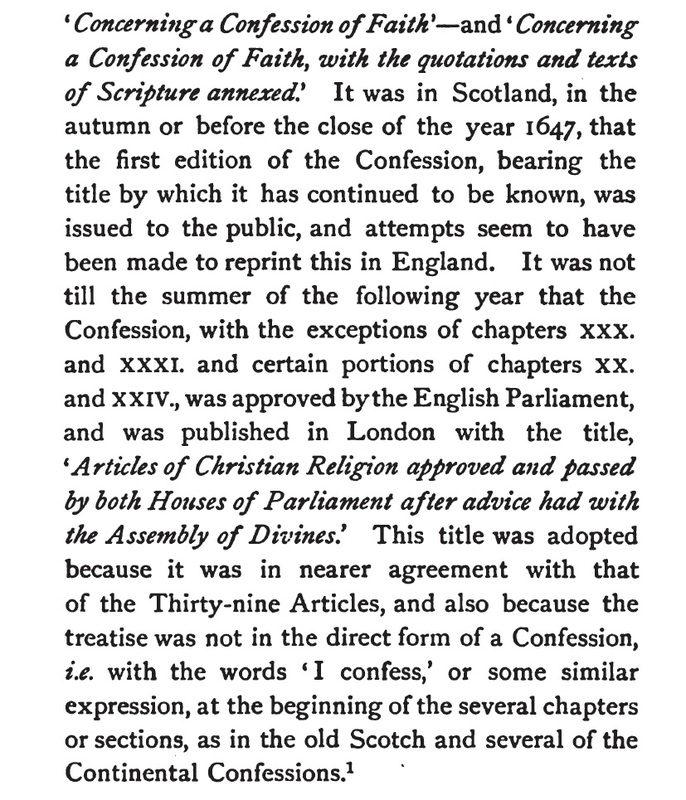 As you will see below, the version we know today is the version that was (illegally?) reprinted and distributed in Scotland. 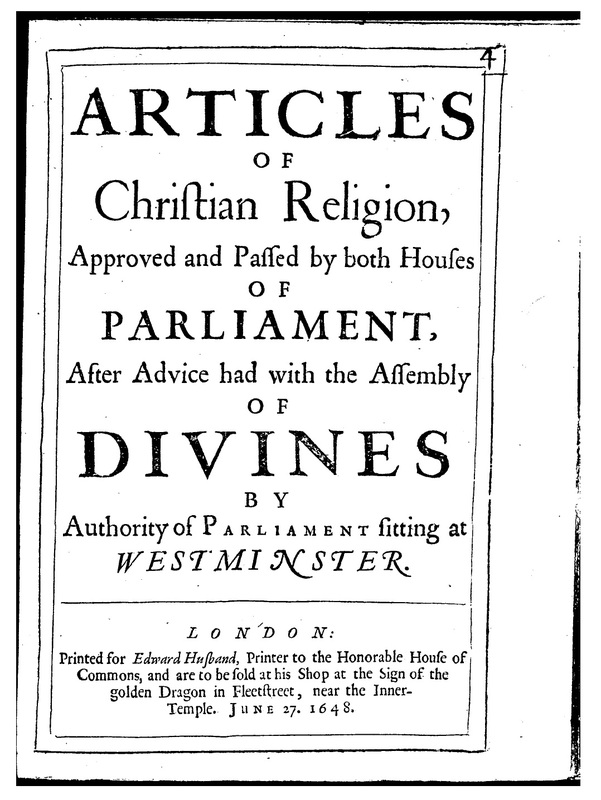 The parliamentary approved version makes edits which Mitchell points out below. 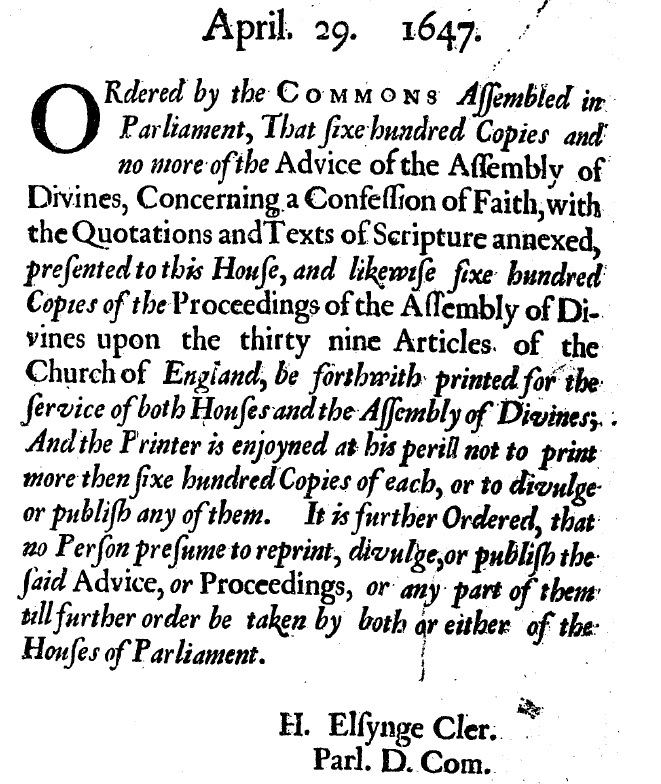 Here you can see the clear instructions not to reproduce this work because it is not the final or parliament-approved version. 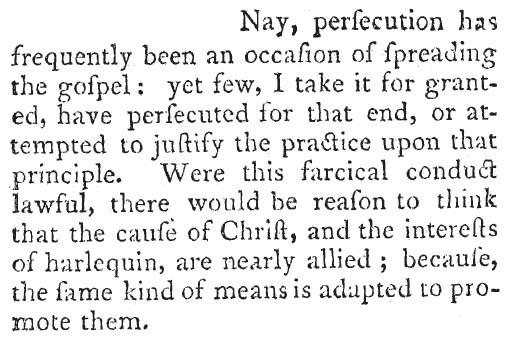 Note the date, April 29, 1647, this is the version mentioned by Mitchell. 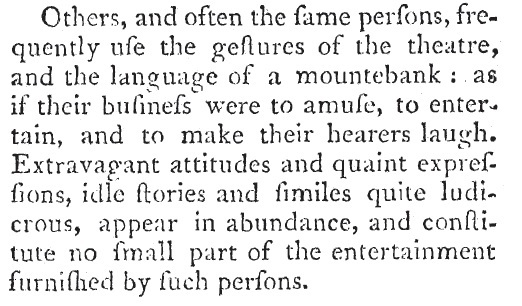 Apparently, the Scots were not especially concerned by that.